More common however, in fact very common, is the belief that the notes of the western major scale have direct relation to the seven "Roy G Biv" colors. In the last few days a video (whose featured 'sound healer' will remain unnamed here) has been getting an airing on various sound healing/chant facebook pages. The video is loaded with 'questionable' information (to put it mildly), but the one piece I wish to inquire about here is this claimed note-to-color relationship. In making the claim, this person states that the color red equates to the note 'C' since if you take the frequency of a 'C' note and multiply the octaves enough you get the frequency of the color red. Simple math skills show however that this is not even close to being true. The video presenter in question also states that "Pythagoras did this, the Egyptians did this, the ancient Chinese did this" in regard to relating sound to color. Besides the fact that there is no evidence that any of these ancient people had a way to measure sound or light wave frequencies, nor for that matter even thought of these phenonema existing as 'waves', (and I'll allow that maybe advanced pre-history cultures did know and measure these things even as we have no evidence of it) has anyone ever seen any credible evidence of any ancient culture or ancient mystical tradition making any claims or suggestions about specific notes of sound having relationship to color? I have not. I suspect it is all contemporary contrived pseudo-mysticism. I'm happy to be proven wrong if the truth is otherwise. Rich, 2 of the main hallmarks of a New Age Charlatan: one - they combine ideas that have no relation to each other into pseudoscience, pseudo spiritual, pseudo intellectual theories. These are usually reductionist ideas which don't add up, just like the arithmetic you mention doesn't add up. Two - they credit everything to ancient civilizations, especially Egypt, China and Atlantis. If you get to know that person better, they'll probably confide that they're Cleopatra or Attila the Hun reincarnated. It sounds like new age nonsense. I haven't seen it, but that's what I gather from your description. Specifically about the color theories - others have said similar that the numbers don't add up - you can't make a direct correlation between colors and sounds or planets and sounds. I don't know the math behind it but maybe someone else can help dispel these myths? In the certain usual and external terms, sound and color are interpretations of perceptions of stimuli, rather than things. And there we get into issues of consciousness, convention, etc. Colors, in the Newtonian prism sense (he is often credited with correlating pitch to color) is a continuum. The seven (or twelve, etc.) "colors" are not separate, but change gradually, unlike diatonic pitches as we are generally used to using. In the physical realm, while each can be counted using arbitrary methods, sound is a mechanical wave phenomena, which requires a medium. Light consists of electromagnetic radiation, photons, a far different situation. Way past apples and oranges. So, to even discuss this concepts that Rich presented, it seems to me that we must decide what our definitions and interests are, and then proceed from there. 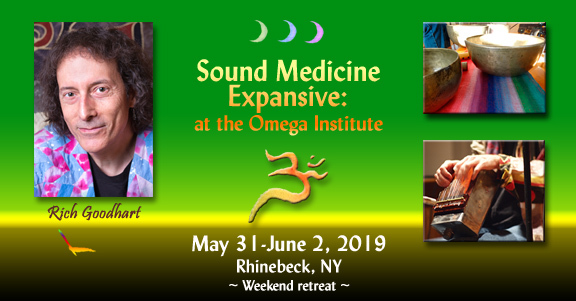 Such an approach is sorely lacking in most discussions about sound, healing, and such, which opens the door to the abundant bogus history, fake science and general silliness that plagues our field. So, what exactly are we discussing here? Reminder: while being aware of "new age nonsense" let's be aware that there is no shortage of "old age nonsense." Just because it's ancient doesn't mean it's right, and things that make sense it one time or culture may make perfect sense but appear ludicrous to outsiders, or those of a different era. hi, I've read some serious books on math correlating to sound and planets. I'm a bit dyslexic and cant recall most of their names. the only one that springs to mind here is John Beaulieu's book- Human Tuning. Now there's a man who's done some serious research and I would trust. I've not come across anything relating to colour though. The idea that the rotations or revolutions of planets are "notes" of sound, and if we just raise those notes far enough into audible range (between 30 - 40 octaves depending on the planet) they become meaningful "tones of the planets" that carry the "archetype of the planet", is rather suspect to me and I'm not really buying it. A fundamental aspect of this theory that remains unclear to me (though not the reason I disagree with it) is are the proponents of it calculating the planetary tones based on their orbits around the sun (i.e., planetary years), or based on the rotations on their axes (i.e., planetary days)? In Human Tuning, John says he uses the calculations of Swiss scientist Hans Cousto. He further says that Cousto uses the "orbital period of the planet" to calculate the tone. He then provides the example of the Earth having a rotational period of 24 hours, 56 minutes and 4 seconds* for a total of 86,164 seconds - and then taking the reciprocal of that number to get the frequency or Earth note in cycles per second. The problem I have with this, thus my confusion of what is supposed to constitute a planetary note, is that "orbital period of a planet" is defined as the time it takes for it to travel around the Sun, i.e., the year of the planet, not the day. If Cousto in fact uses orbital periods then this implies that we need to calculate the number of seconds in an Earth year, 365.26 days, not in a day. I know John and consider him a friend. He's a great guy and I like his book Human Tuning but I do not agree with everything in the section on the planets. In my mind, it's infantile thinking. Planets don't make one sound. There's no reality to a theoretical orbital sound. It's all specious thinking. Let's see - I'm 6 feet tall and walk at 4 miles per hour. I weigh 200 pounds, so 200/6= 33.33333 (what a magical number! My theory must be true!) 33.33333 x 4 = 133.333. So I'm a C tone. That's right. This is my theory of moving bodies and sound frequencies. Now sell me a singing bowl. The visible color spectrum does approximate octave/scale relationships. However, the idea of taking EM waves of extremely high Angstrom counts and converting to acoustical/transversal frequencies within the audible range is, of course, nonsense. However, specific colors do have specific effects on the body and its EM fields. Sound also has this ability. Such involves all kinds of understandings, e.g., in physiological, psychological, and spiritual terms. Dinshah, Babbitt, Gimbel, and myriad others have demonstrated the efficacy of color therapy, often with viable case studies. Sound therapists have done the same, especially the late Sir Dr. Peter Guy Manners with Cymatic Therapy, now approved by the FDA. Going much further ahead, in Sonatherapy we also combine light, color, and sound to address conditions. There are many "keys" within this process. One is "coherency." If we beam a portion of the spectrum, say Red, upon the body and its enveloping fields, and it is a coherent light source (think low-wattage laser), then definitive outcomes are predictable. If we include a steady sound with the irradiation, the effect may be enhanced. If the sound is, say, a combination of five frequencies that form a stable harmonic/Cymatic wave front --- has become Synergetically "coherent" --- just like the light/color source, then the entrainment has far more potential in healing. Further, if we pulse/pan the signals of both light/color and sound at a common base pulse-rate, to which each of the frequencies has been tuned, we have successfully married the two vibrational media, e.g., in therapeutics. Both signals are coherent and pulsing wave fronts together, are readily absorbed. All of this is explained in my two books, SONA (2008), and Sonatherapy (2012) available at our web site, http://www.sonatherapy.com. The only way to successfully "marry" sound and light/color is via the methods given above. Thank you for sharing your thoughts and experience with this. At some point I'll get your books and read them. If one was to start with only one of your books, which would you recommend? Also, are you familiar with Fabian Maman's work with sound and light? If so, does his work relate to yours at all? really can't say much beyond that without locating them and reading them again. I also had a friend who studied with him but I was never drawn to do so myself. Very interesting - using sound and light together. There's amazing potential. I love my acoustic instruments, but I think in the future sound healing will be done with sophisticated and powerful electronics. I think we'll see some real miracles in medicine using sound and light. Yes, I have met with Maman in the past and find much of what he is doing quite good. He has used a special spectral range of pink, along with certain chimes, for example, in treating cancerous cells. However, I agree, not only are his writings not so helpful, but the overall approach is not-so-scientific. That's cool. Many of us are more spiritually oriented, as well. My attitude is - if it works, it works! My first book, SONA, is the foundational text on all the concerns involving the body's reactions to vibrations, both light and sound. Over 530 pages, includes 2 CDs with Data and Music, links, spread sheets, the works! So, that's the one I would recommend. The second book, Sonatherapy, gets more into infrasonic frequencies and lots of light/color chapters... the aura, what colors mean and do, etc. Still, there's a lot of musical and acoustical science in there, as well. We are now offering our Training Course, which is proving quite popular among those who really want to learn and do this therapy. We ask that people who have read the two books write a report and answer a few questions, tell us what they are doing with the techniques, and then become eligible for "Basic" certification... followed by optional enrollment in the 12-month course of studies for the "Advanced" certification. Joseph, acoustical sound sources (analog) are absolutely the best. Digital samples (CDs) do not have much healing efficacy, for certain. We document all that in the books. This is also why we spent seven years developing an analog unit that can produce pure sinusoidal waves, with up to four decimal place accuracy, also including infrasound, to employ in our Sonatherapy sessions. We ALWAYS obtain amazing outcomes! I do not think it is necessary to become overly involved with more and more sophisticated and powerful electronics, though. What is needed is "simple" light sources and analog sound production. In fact, I discourage the use of electronic stimulation and magnetic field therapies. With sound and light/color, "less is more." It does not tale a great deal of stimulation (not high amplitude) to resonate cells, bones, DNA, quantum fields, et al. If the person can feel and sense the entrainment, that is all that's required. In this way the body and its fields can heal themselves. Too much input creates an habituation response, and the body simply turns off, as it were. But, this IS the future of medicine! For example, we treat every kind of condition one can name, and rarely fail to ameliorate and sometimes completely reverse problems. The idea is not to get into intellectual systems and complex gadgetry, but to employ fundamental resonances, both sound and light, for self-healing. And then there is also the psychological spiritual input from the therapist. Despite differences in transmission and propagation, I find the study of light and sound correlation fascinating. I am aware that applying the law of octaves to relationships between all vibratory phenomena can be considered "reductionist" and therefore should be treated with scrutiny if not outright skepticism. However, there is just too much compelling information out and about that makes it difficult for me to walk away from this study. Here is a very interesting article on the future of computing with photons. Although it doesn't prove or disprove the idea that a G# might be a reddish-orange in color if raised 40 octaves, it does show that people are actually thinking along the lines of slowing down light into sound for the purposes of transmitting information. This applies to what we do in my heart, because as you and I are easily defined as biological computers, so does this point to how sound and light interact with our own physiology and energetic programming. So here's my reductionist quip to sum up this information from my perspective: maybe sound and music has the ability to assist our species to more easily transfer the information encoded in the electromagnetic spectrum. Perhaps language itself is simply music, and therefore is the seed of electromagnetic communication for beings that live on the median between light and sound. Considering the effect that words have on us (in some ways just as powerful as sticks and stones) it seems like sound is just another kind of light and vice versa depending on the medium of propagation. When I think about how light and sound react when they pass through different densities, they don't seem too different at all. Just read that article, and yet again as happens all too often, the title is misleading click bait. "Light Has Been Stored as Sound For The First Time".... well, no, that is not what they said they did! What they did was create a chip that takes information encoded in light pulses and converts it or transfers it to information encoded in an acoustic wave. "Light" has NOT been stored as "sound". John, you said "Although it doesn't prove or disprove the idea that a G# might be a reddish-orange in color if raised 40 octaves, it does show that people are actually thinking along the lines of slowing down light into sound for the purposes of transmitting information." You're right, it doesn't prove or disprove that idea, but it also has nothing to do with that idea. Again, they are not "slowing down light into sound", they are transfering information encoded in one to information encoded in the other. It's like taking an old style photo, captured on film and developed onto photo paper. Take that photo and scan it into your computer and now you have a copy of it that has been read and converted into an electronic file. The original medium, paper, has not itself been transformed into binary encoded electrical impulses - just the information stored in one form has been read, copied and stored in another form. That's a big difference and important distinction to make. Thanks Rich. I also read the article again, and I think the significance is how they are transmitting the data. You say the term "stored" is not accurate. Because what they are really doing is taking light and converting it into sound and then converting it back into light. But perhaps the definition of "stored" might need to be looked at a little bit here. Because 10 nanoseconds is longer than 3 nanoseconds. And therefore, when the data is converted into sound, the delay seems like a "conversion" to us who experience the whole process as virtually instantaneous. However, the truth is that this conversion in some ways is a form of extremely fast storage because until the blue light comes through again to "pick up" the data package that is stored as sound, it is still sonic/acoustic in nature. Just like the photo paper is a different type of storage than the original film it was captured upon, so also is this sonic imprint of data a type of storage in between what we (the users) decide to do with the data. If you agree that RAM and Hard Drives are both different kinds of storage, then maybe you can see how this conversion from light-sound-light is also a form of storage; albeit extremely fast! The conversion of pitch to color is my own agenda and has absolutely nothing to do with the article I brought up, but it does have some significance to the OP. I brought this article in because it is yet another way that we are learning to use light and sound together to create new technologies. Like HimalayanBowls, I believe in the future, knowledge we are currently just getting beyond the tip of the iceberg with, will be distilled into electronics in a way that would be quite difficult to achieve any other way. In fact this is very much my area of research. As a point of comparison, an analogue synthesizer can feel as "real" in texture as an acoustic instrument, however unlike the latter, it can be controlled digitally in an extremely precise way. This makes things such as microtuning tables and fine control over harmonic content much easier. Getting back to the OP's topic, there are some undeniable fundamentals that are somewhat related to the question being asked. For one, in terms of wavelength and frequency, the visible spectrum does indeed stretch across roughly one octave. In other words, for any pure colour we can see, if the frequency of this colour were to be doubled or halved, we would no longer see anything. This is as true as there being roughly 10 octaves of audible spectrum of sound frequency. Next, it remains true that an audible frequency, multiplied an amount ranging from 2^35 to 2^45 (depending on the base frequency) will reach the visible spectrum. Despite that one is a mechanical wave and the other is electromagnetic, in theory, with highly precise equipment which doubtfully exists today, one would be able to phase lock the generators of the sound and light waveforms, meaning that the 0-crossings of both waves would align exactly every 2^35-2^45 oscillations of the light wave. However, what remains to be seen is whether such a thing would increase bio-entrainability, that is to say, the degree by which the body's measurable bio-signals would entrain to the frequency. There is always so much at play. We are only beginning to understand, for example, why certain patterns of noise are themselves quite soothing, such as a descending aircraft or the hum of a vehicle engine for a baby. Therefore frequency is only a small part in a much larger equation which may include anything and everything from filter settings and harmonic content, to rhythmic pulsations. Further to what the topic is reaching for is mechanical vibrations delivered directly to the body rather than via the ears as sound. These are perhaps the most impactful for entrainability of all modalities. This holds equally true for healing and therapy as it does for stressful vibrations having just the opposite effect. Perhaps a futuristic device would combine all three modalities, but the simple phaselocking of waveforms would be only a basic starting point for how the device would actually work. A realtime system which tried different approaches in an attempt to maximize entrainability would be infinitely more valuable, as different people would entrain more readily to some frequencies rather than others. And all this would be just to find the best starting point for a given patient. Finding the best approach for that patient to take them from rudimentary entrainability to guided entrainment towards different brainwave states, heart rates, muscle tension reduction, galvanic skin response variation and the implied change in nervous system state, etc., would be the rather versatile requirement for such a device, which if extremely effective would be essentially a panacea, especially in the form of preventative medicine to keep the body at an optimal state so that disease would have that much harder a time of setting in. Anyhow I surely digress too much from the topic at this point. There is an important relationship between sound and light, I believe, but it should not be overplayed; it is a small part of a much bigger picture. Thank you for your thoughtful reply and perspective. I don't quite believe so much in the supremacy of technology, but who knows what we will see in future days. Btw, do I know you by name?